This was one of the first shots I took with my iPhone 4s. The main advantage to this over my usual DSLR rig was that it fit it my pocket, which was especially nice when hiking a fairly strenuous trail. 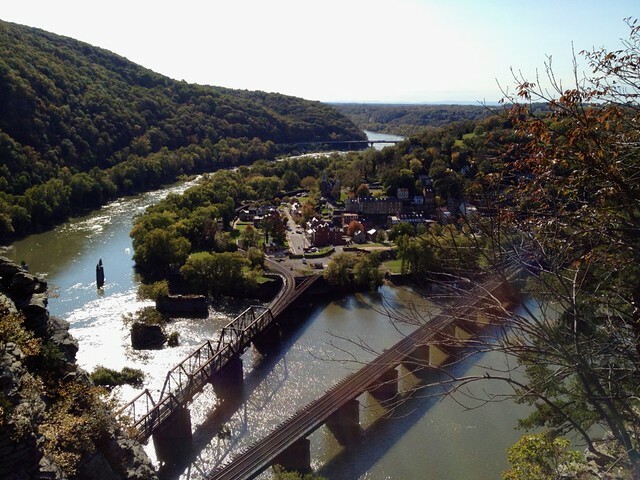 The reward was this beautiful view of Harper's Ferry, site of much historical stuff and several ice cream shops, also very nice after hiking a fairly strenuous trail.